Three years ago, Partnership for a Healthier America (PHA) invited 21 colleges and universities to adopt a set of rigorous guidelines that it developed in collaboration with some of the nation’s leading nutrition, physical activity and campus wellness experts. FIU was one of the leading institutions of higher learning to accept the challenge to implement the PHA’s Healthier Campus Initiative guidelines—ranging from healthy wellness meals to access to more diverse opportunities for physical activity. As a Healthier Campus Initiative partner, FIU vowed to enhance its campus environments to encourage and support greater physical activity and healthier eating habits. “Over the past three years, FIU has focused on departmental collaborations to bring new, innovative programs and services to our university community,” said Mariela Gabaroni, associate director of health promotion for the Healthy Living Program. The $25 million expansion of the Wellness and Recreation Center at MMC was one of the many health motivated improvements made at the university. The new larger facility provides students with 65,000 square feet of additional specialized fitness areas, including state-of-the-art equipment, indoor basketball courts, racquetball courts, squash courts and an indoor track to enjoy during hot Florida days. Other programs such as the debut of new Healthy Campus Week initiatives, which includes Zen Fest, offers students, faculty and staff useful options to stay healthy by making better food choices, incorporating more activity into their daily lives and using yoga and meditation to improve their mental health. The events were so successful that Healthy Living is be implemented on an on-going basis. According to the PHA, thanks to the colleges and universities that committed to become healthier campuses, more than 1 million students, faculty and staff have benefitted from eating better and moving more. At the 2018 Innovating a Healthier Future Summit held in Washington, D.C., PHA recognized FIU for creating a cultural shift toward wellness and contributing to a healthier future. 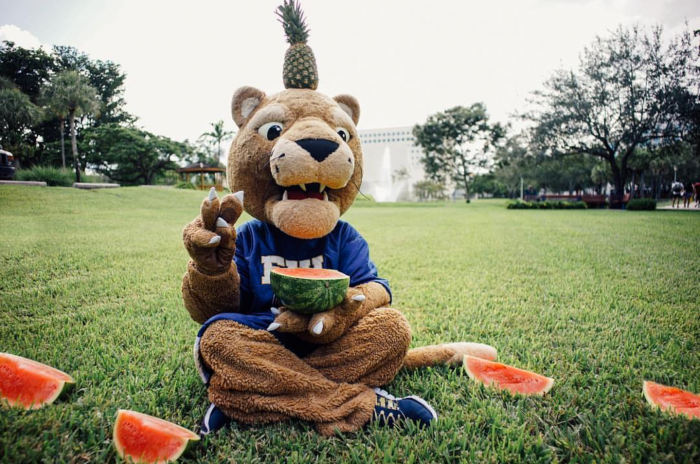 The end of its Healthier Campus Initiative commitment term may be over, but the university intends to continue promoting healthy living habits to encourage FIU students adopt a healthy mindset. “We plan to stay on this wellness journey, and continue to make the healthy choice, the easy choice for our Panthers,” Gabaroni said. What about providing gluten free options around campus? I lived on campus all four years and that was the biggest struggle I had when it came to healthy eating because of my celiac diagnosis.